Losing a passport can be a stressful experience for anyone, especially if you are about to travel, and you lose your passport or realize it has been stolen. Even if you do not plan to travel anytime soon and you do not want to get a replacement of your passport yet, it would still be important to report a lost or stolen passport. 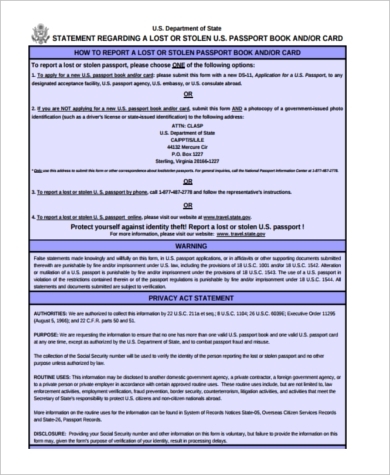 This will protect you from identity theft because once a passport has been reported stolen or lost, it will be canceled and will no longer be valid for international travel. Check out our Application Forms below for samples. You may visit their official website at www.travel.state.gov and fill out a DS-64 Form online. You may call their toll-free number at 1-877-487-2778 or 1-888-874-7793. 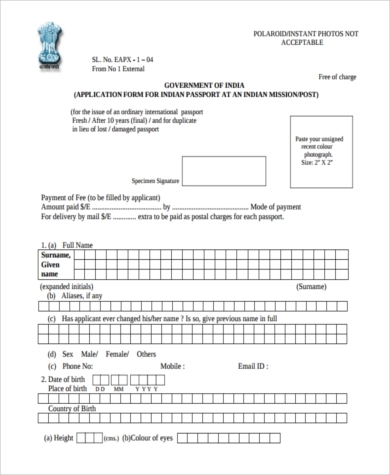 You may download the DS-64 Form below (Declaration of Lost Passport Form), fill it out, and mail it to the address indicated on the form. 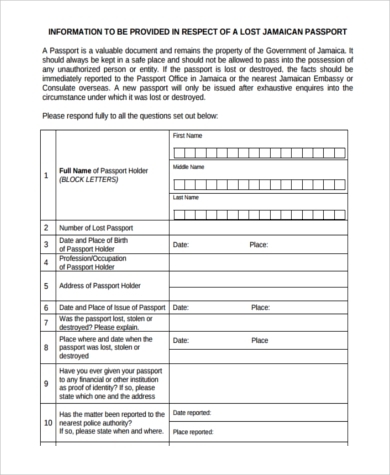 Once you have done this, the Bureau of Consular Affairs will be notified that your passport is lost or stolen, and it will be made invalid for use. That way, no one else can use it and you will be protected from identity theft. 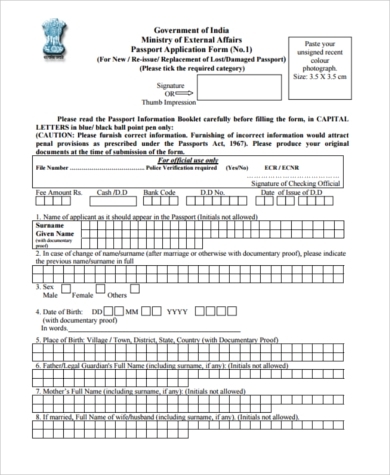 If you do not have a passport yet, you may check our Sample Passport Application Forms. 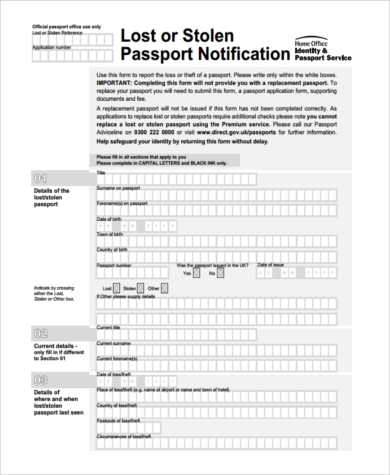 If you do have a passport but it has already expired, you may check our Sample Passport Renewal Forms. There will be enough samples here to help you out. Proof of US citizenship: This can either be a birth certificate or an expired passport. 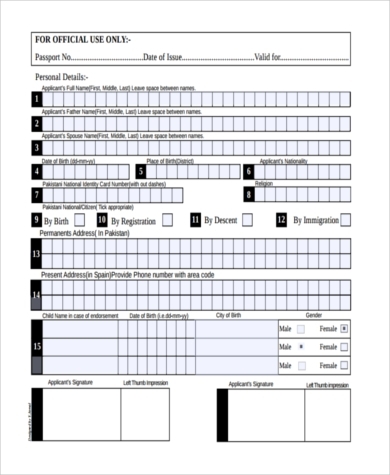 DS-11 Application Form: You can download at www.travel.state.gov. Print it and fill it out. 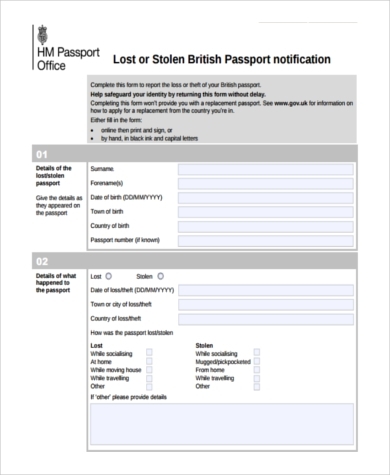 DS-64 Form: This is the form you use to declare that your passport has been stolen or lost. Proof of identity: You can use a driver’s license or any state-issued identification. Proof of travel: This can be a photocopy of your airline ticket or any other proof of travel. 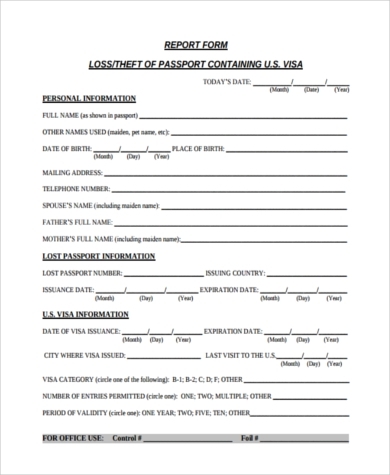 You will only need this if you want to have the processing expedited. Lost passport replacement fee: This will be paid at the passport agency or center. If you are in the United States and are going to travel within two weeks, you should make an appointment with a passport agency or center to get a replacement in person. If you are in the United States but you are not planning to travel within two weeks, you may make an appointment at a passport acceptance facility to apply for a replacement. If you are outside the United States, you may contact the nearest US Embassy or consulate to replace your passport. If you have other application concerns, you may also check our General Application Forms. If the need to travel is very urgent, you may apply for expedited service, which comes with an additional fee. But whether you plan to travel or not, you should always report lost or stolen passports for identity theft protection.